Scratching furniture and carpets, spraying, urinating in inappropriate places, and other behavioural problems are particularly common in multicat households where cats are vying for status and resources. Stressful life events such as moving to a new home can also trigger such undesirable behaviours. Studies and customer reviews indicate that Feliway is effective in reducing or eliminating anxiety and problem behaviours in the majority of cats. Cats rub their faces on objects, people, and other animals, leaving chemical scent messages that signal possession or affinity. Feliway mimics cat facial pheromones, and is believed to transmit messages of positive connectedness and belonging, which have a calming effect. Because feline behaviour problems are usually caused by anxiety or territoriality, generating a sense of affinity and well-being can reduce or even eliminate these problems. Feliway is available as a spray or a plug-in diffuser. It is used in areas where cats tend to spray, scratch, or engage in other problem behaviours, or in places where they are likely to experience anxiety, such as veterinarian’s offices and unfamiliar environments. The product takes anywhere from a few days to a month of consistent use to begin working, and does not affect humans or other animals. In one-third of households, spraying ceased altogether. All but 5 households achieved a reduction in urine marking. These results are in line with those of other Feliway studies such as that conducted by White and Mills (1997), which found that Feliway’s success rate in reducing spraying was 91%. Pageat’s (1996) study generated even better results, with Feliway completely eliminating spraying behaviour in 89% of cases. However, it should be noted that Pageat developed the synthetic pheromone, and thus has a stake in its success. Overall, there have been quite a few studies conducted into Feliway’s effectiveness in reducing urine marking and other problem behaviours, all of which have generated positive results. A number of these studies have used reasonably large sample sizes and placebo control groups, so improvements are unlikely to be attributable to chance or placebo effects. Number of cats in a household, age, gender, and other factors do not seem to impact Feliway’s benefits, and no adverse effects have been noted in any of the studies. Traveling with cats – Feliway sprayed in the cat carrier can have a calming effect. Moving to a new home or boarding at a cattery – Using a Feliway plug-in diffuser or spraying Feliway on prominent objects can help cats grow comfortable in a new environment. Stimulating the appetite of hospitalized cats – Feliway sprayed on a towel in the cat’s cage can induce eating, probably due to the relaxing effect of the pheromone. Facilitating the introduction of a new cat and reducing intercat aggression in multicat households – Using a Feliway plug-in diffuser can help cats accept and grow comfortable with one another. Phobias, generalized anxiety, and anxiety symptoms such as excessive vocalization (that is not caused by a medical problem) – In cats that suffer from severe phobias or generalized anxiety, Feliway is a safe alternative to medication. Furniture and carpet scratching – Spraying Feliway on targeted surfaces can help to reduce or eliminate scratching of furniture, carpets, and other inappropriate places. 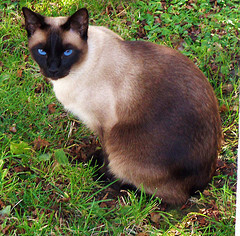 Customer product ratings on various websites indicate that the majority of users have found Feliway beneficial in solving or at least reducing a variety of feline behaviour problems, particularly those caused by fearfulness or territoriality (such as inappropriate urination), although a few cats don’t seem to respond to the product. Many behaviour problems in cats, particularly urinating outside the box, can be symptoms of serious medical problems. A cat that is behaving inappropriately should be taken in for a veterinary check-up to rule out medical issues before assuming that the problem is caused by anxiety or territoriality. There is a similar product for canines called Dog Appeasing Pheremone (DAP), which has a calming effect on many dogs. DAP has not been studied as extensively as Feliway, so there is less evidence for its effectiveness. Reviews indicate that some users have found it extremely beneficial, though it doesn’t appear to work for all dogs. Average customer ratings aren’t quite as high as they are for Feliway. Amazon.com, Ciao.co.uk, and PETCO.com – customer product reviews of Feliway and DAP. Dodman, Nicholas, Dr. (2009). “Feliway®” and “Dog Appeasing Pheromone (DAP®), Canine Appeasing Pheromone (Apaisine).” PetPlace.com. Hunthausen, Wayne, DVM. (n.d.). “Evaluation of Feliway for Control of Urine Spraying in Cats.” WestwoodAnimalHospital.com. Maddison, Jill E.; Page, Stephen W.; & Church, David. (2002). Small Animal Clinical Pharmacology. London: WB Saunders/Harcourt Publishers.